The Chapel is the College’s most important building and for almost 80 years it has sat at the heart of St Bede’s College. Sadly, the Chapel was badly damaged in the earthquakes of 2011 and had to be demolished. Following the earthquakes an old science building was converted to a small chapel. It has served us well as a temporary chapel, but the time has come to build a new chapel. Now in 2018, the College is calling on it’s old boys, parents and the wider Bedean community to Give a Little to help us rebuild our Chapel. The Board of Proprietors are deeply appreciative of the support being pledged by the Old Boys and the Foundation. 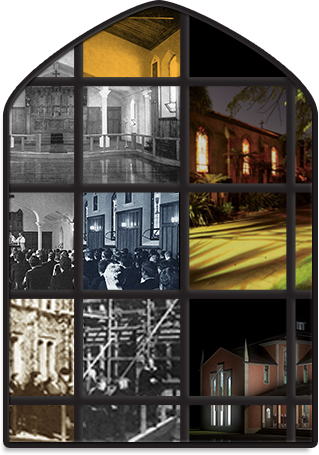 The Chapel Appeal, lead by the Old Boy’s Association aims to raise upwards of $1.5M. 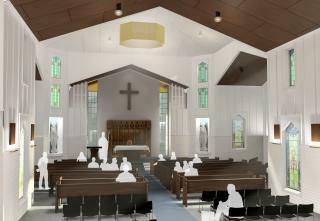 The balance of the $3.5M chapel rebuild cost, will be met by a generous $1M grant from the Society of Mary with a further $1M being allocated by the Board of Proprietors in part from Insurance monies. The Chapel Construction is now well underway as of October 2018 and recent footage can be viewed here showing the tilt slab placement. 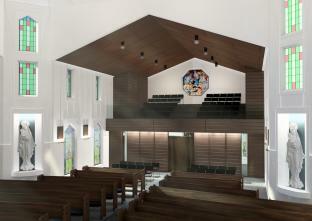 Fundraising for the new chapel is one part of an ambitious $60m rebuild programme for the College. It follows a significant amount of post-earthquake work that has seen three major demolitions, Durham Hall and the science block fully refurbished and the new Marian classroom block built. Some six years of research and evaluation has gone into a new masterplan for the College that will future proof St Bede’s to meet sophisticated and changing educational needs. 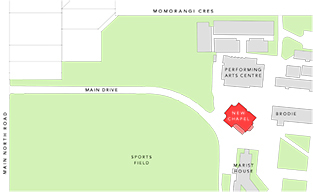 The first stage of the masterplan is the extension to the gym, the new Chapel, structural repairs to the Performing Arts Centre and a new clasroom block. The Chapel construction commenced with site remediation at the beginning of 2018. Situated at the front of the College and clearly visible from the road this imposing structure will tie together the public face of St Bede’s . St Bede’s is a legacy school. Our current boys have benefited from the generosity of previous generations of old boys and families. It is now time to invest in the coming generations of young Bedean men.